Studying the causes of human central nervous system (CNS) diseases and disorders and developing impactful therapies requires in vitro and in vivo disease models that faithfully recapitulate the respective neuropathophysiology while also supporting the neurons with the necessary cellular machinery to respond to therapies in a manner that offers translational results. Moreover, it is imperative to study the earliest neuropathophysiological changes as these provide the best opportunity for early diagnosis and intervention. Changes in the structure and/or function of neuronal synapses are often the earliest pathological changes in many neurodegenerative diseases and CNS disorders. To detect early synaptic dysfunction, scientists utilize live cell imaging which provides single cell resolution with real-time analysis of changing experimental conditions. 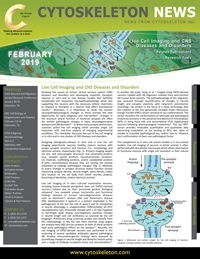 This newsletter discusses the use of live cell imaging in in vitro and in vivo studies of CNS diseases and disorders.